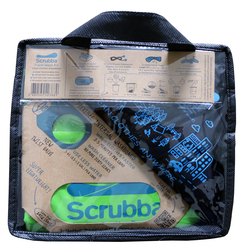 Scrubba products make it easy and sanitary to wash clothes on the go. 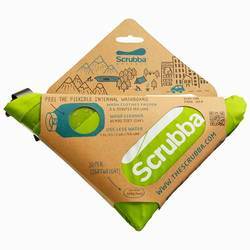 The original Scrubba Wash Bag was created for adventurers and travellers. Based on the idea of a traditional washboard, the Scrubba incorporates unique scrubbing nodules into a waterproof, sealable bag that makes it easy and efficient to wash clothing wherever you are. Scrubba products are a necessity for those who want to travel light without compromising comfort or cleanliness. They are ideal for backpackers, hikers, and campers, as well as business travellers or cruise passengers who don't want to wash their clothes in a dirty hotel sink. 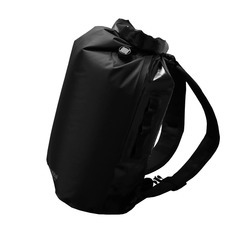 Various models include the original Scrubba Wash Bag, the Scrubba Stealth Pack (includes shoulder straps to double as a backpack and solar shower), the Scrubba Tactical (larger and more durable), and the Wash & Dry Kit (includes everything you need to wash and dry clothes, including an absorbent towel and portable clothesline). Weighing only 5 oz, Scrubba products are essentially the lightest washing machines ever created.